Something to say? We're ready to listen. We have free social media graphics for you here. 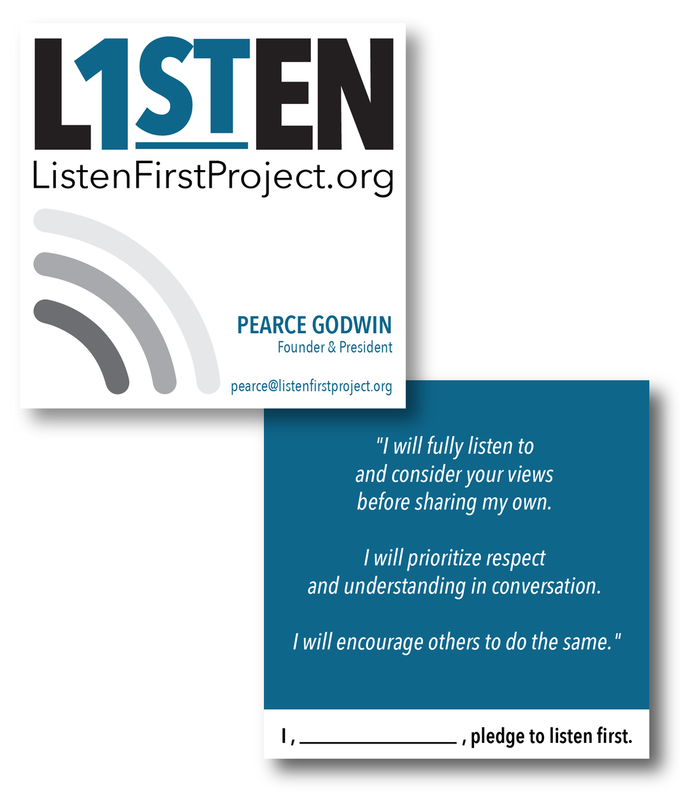 Email us to request your own Listen First Pledge Card(s) and/or Bumper Sticker(s).